Has S'pore become a society of haves and have-nots? 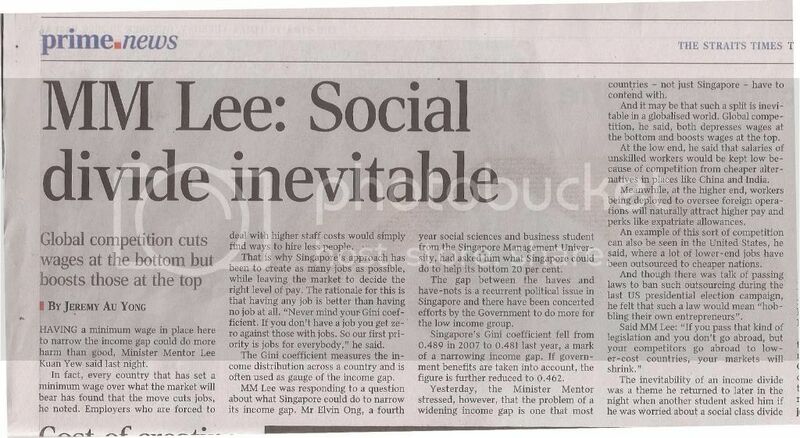 Now that MM Lee has said a social divide is “inevitable”, will Singapore society be “destroyed”, as PM Lee warned in 2006? Apparently, the “deliberate policy” of the PAP government has resulted in this “inevitable social divide”. What must the government now do about this? Or will it simply put the blame on “globalisation”, as MM Lee did in the Straits Times report?